It is easy to make a 2-colour spiral braid, but making a 4-colour spiral is not as obvious as it may seem. The free mini tutorial (Click here) for this on this website has always been one of the most frequently viewed, so I knew it would be a popular subject for a YouTube video. Once the basic set-up has been understood it is easy to develop this technique into something unique by experimenting with different shapes and sizes of bead. For instance, a combination of size 8 seed beads and Long Magatama beads is very effective or Dagger beads would be very dramatic. 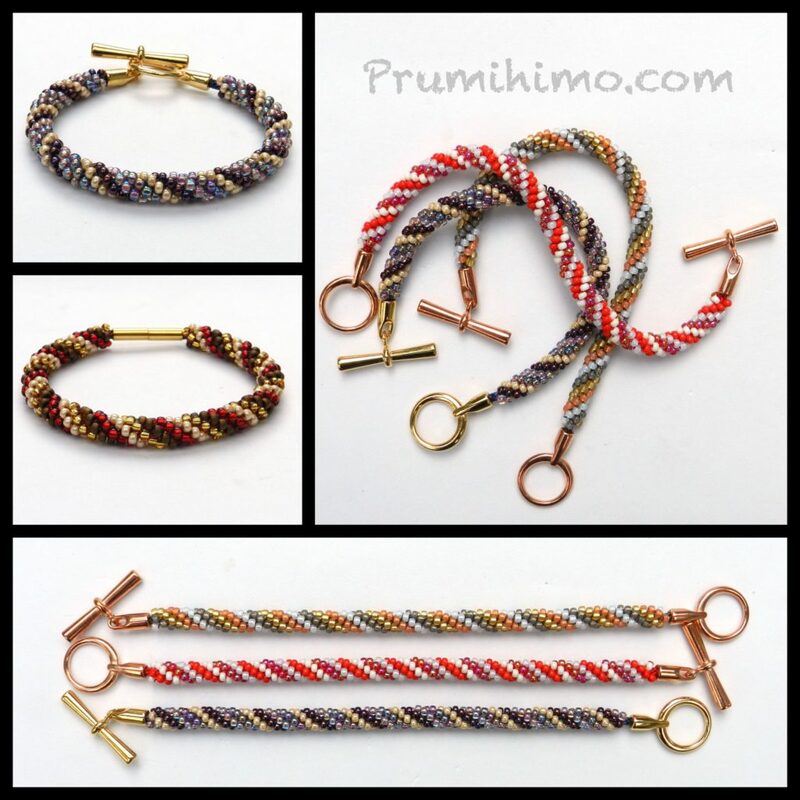 The bracelet is made with 8 cords of 60cm and 40 to 50 size 8 beads on all 8 cords.